One trip to the skincare aisle can have your head spinning by just looking at all the cleansers, toners, serums, and creams available. With so many options, it’s easy to see how anyone can feel overwhelmed. The truth is, a skincare routine doesn’t need to be complicated in order to be effective. 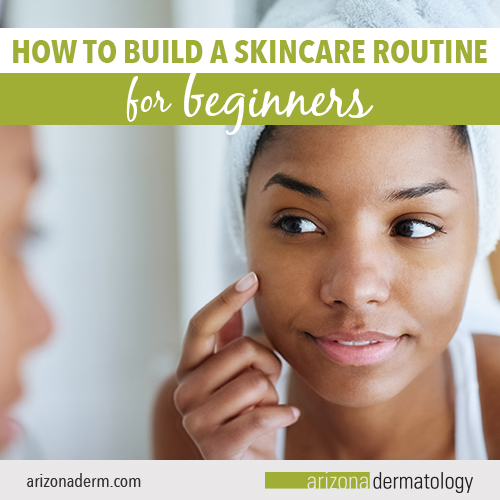 In this article, you’ll find expert tips and advice to help you put together a beginner’s skincare routine that works for you. For beginners, we recommend starting with a basic three step routine—cleanse, moisturize, and apply sunscreen. Of course, this can be modified, and products can be added depending on your individual skincare needs. For example, if you’re struggling with acne, you may consider adding a spot treatment. No matter the case, the core three steps remain as the foundation of a successful skincare routine. While it may be tempting to buy a lot of skincare products, keeping your routine simple will avoid overwhelming your skin. Plus, limiting your skincare routine can help you save money and avoid wasting products. One of the first steps on the road to building a skincare routine is determining your skin type. Different skin types have varying needs that need to be met by skincare products. Oily skin types may be more concerned with mattifying ingredients, as opposed to dry skin types that need thick and rich moisturizers. One easy way to determine your skin type is to observe your skin throughout the day. Is your skin shiny and oily by lunchtime, or dry and flakey in the morning? Whatever the case, these characteristics are indicative of your skin type. Oily skin: Skin that looks shiny due to an overproduction of oil. Dry skin: Skin with dry and flakey areas that may feel tight. Sensitive skin: Skin with red and irritated areas that are typically painful to the touch. Combination skin: Skin that has a combination of oily and flakey areas. Once you’ve determined your skin type, you can narrow down which products to look for, and which ones to avoid. Many products will indicate on their label what sort of skin type they’re best for, making it easy to find products that’ll work for you. Here are six steps to follow when creating your beginner’s skincare routine. A cleanser removes the dirt, oil, and bacteria that you come in contact with during the day, or at night while you sleep. This first step in your routine is critical. Cleansing your face will help you start or end your day with fresh skin. Additionally, you’ll be able to receive the maximum benefits from the products you apply after cleansing, because your face will be free of any dirt and debris that would impact the way products are absorbed. Patients with oily skin should look for foaming cleansers that remove excess oil and pore-clogging bacteria, while patients with dry skin should look for hydrating cleansers to help restore the skin’s moisture barrier. Your skin needs moisture to replenish the water it loses throughout the day. Moisturizers with ingredients such as ceramides and hyaluronic acid can provide your skin with the healthy hydration it needs to stay soft, supple, and youthful. Even if you have oily or combination skin, it’s still important to moisturize. In fact, a lack of moisture can drive your skin to produce more oil in order to compensate for it, which can lead to clogged pores and breakouts. We find that many patients only use sunscreen during what seems like the obvious times to do so, like a sunny day at the beach. But, in reality, it’s important to wear sunscreen every day. In addition to reducing your skin cancer risk, you’ll also be preventing the effects of photoaging—which can include dark spots and wrinkles. Many moisturizers and cosmetics contain SPF, making it easy for you to get the sun protection you need without buying more than one product. Whether you get your protection from cosmetic products or from stand-alone sunscreens, make sure the formula contains board-spectrum SPF 30 or higher to ensure you’re as protected as possible. Once you have all of your products, it’s time to put them together into a routine for the morning and the evening. Consistency is key when it comes to skincare, so make sure whatever routine you create is one that you’ll be able to consistently follow on a daily basis. Because everyone has different skin types, every skincare routine is unique. For example, if your skin is dry, you may want to skip a cleanser in the morning and just splash water on your face instead. Or, if you have oily skin, you may opt to only moisturize your skin at night. If you have questions about building a routine, consult with a dermatologist. Don’t get discouraged if your skin doesn’t change overnight with your new routine. For the most noticeable results, aim to follow your routine for at least six weeks. This is approximately the amount of time it takes your skin to complete the cycle of renewing itself with new skin cells. Once this cycle is complete, you can begin to see the impact of the products you’ve been using. Once you’ve established the basics, you can add more products to your routine as needed. This part of your routine is the time for you to address whatever you want to improve about your skin. That could include acne, redness, or general skin dullness. However, if you’re happy with the results from the three-step routine, there’s no need to add more products into the mix. Below are three of our favorite routine enhancers that can be used to target specific skincare needs. Toners are a broad category of products that can be formulated to serve many different purposes. Some toners address redness, while others target signs of aging or work to balance the skin’s pH level. All toners remove the dirt and oil that lingers on your skin even after cleansing. Applying a toner after cleansing your skin preps the it for moisturizers and other products that follow. Exfoliating the skin can address issues such as acne and dullness by removing dead skin cells. Chemical exfoliants use ingredients such as alpha-hydroxy acids to chemically loosen the bonds between dead skin cells and the new cells underneath. Physical exfoliants use scrubbing particles that manually loosen these bonds to exfoliate the surface of the skin. Topical acne treatments containing ingredients such as benzoyl peroxide and salicylic acid can reduce the number of breakouts you experience, as well as help acne heal faster. These treatments should be applied immediately after you cleanse your skin. 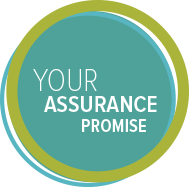 When applying these treatments, remember to plan ahead. Most acne treatments need at least 5-15 minutes to dry before you can proceed with the rest of your routine. The world of skincare may seem confusing—but it doesn’t have to be. For more product recommendations and answers to your skincare questions, make an appointment to meet with one of our experts.